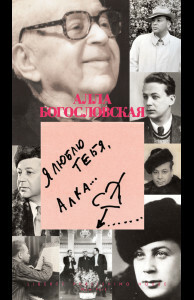 “I Love You Alka” were the last words of the Russian legendary composer and Man of Letters Nikita Bogoslovsky. In this first-ever biography his wife, Alla Bogoslovskaya presents the human portrait of a man who became an idol and an icon for several generations of Russians. Although Bogoslovsky has composed seven operas and other classical music, he is primarily remembered as the composer of most popular songs that were sang at any family celebration such: Tiomnaya Noch’, Shalandy Polnye Kefali, Nu chtozh s Toboi, moi Stariy Drug… Bogoslovsky, thus embodies the lyrical past of each and every Soviet family and therefore it is difficult to overestimate his influence. Alla Bogoslovskaya, herself a successful composer of songs uncovers the world of composers at a very crucial moment when a post-communist regime has given raise to a new pop-culture. Numerous photos from family albums enrich this first biography of Nikita Bogoslovsky.